In the history of brain research, the prospect of visualizing brain processes has continually awakened great expectations. In this study, Cornelius Borck focuses on a recording technique developed by the German physiologist Hans Berger to register electric brain currents; a technique that was expected to allow the brain to write in its own language, and which would reveal the way the brain worked. 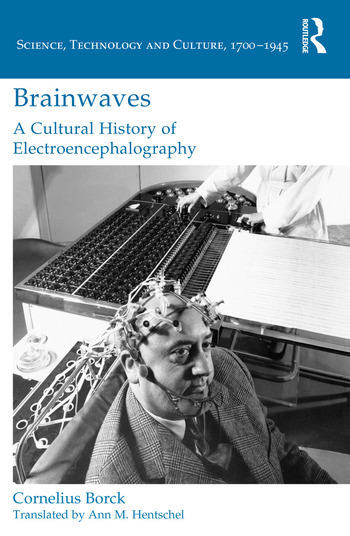 Borck traces the numerous contradictory interpretations of electroencephalography, from Berger’s experiments and his publication of the first human EEG in 1929, to its international proliferation and consolidation as a clinical diagnostic method in the mid-twentieth century. Borck’s thesis is that the language of the brain takes on specific contours depending on the local investigative cultures, from whose conflicting views emerged a new scientific object: the electric brain. A special issue of the Canadian Bulletin of Medical History/Bulletin canadien d’histoire de la médecine dedicated to “Probing the Limits of Method in the Neurosciences” is now online. The issue includes articles that explore the work of Wilder Penfield, the discovery of mirror neurons, the formation of a global community of neuroscientists in the twentieth century, and much more. Titles, authors, and abstracts follow below. “Probing the Limits of Method in the Neurosciences,”by Frank W. Stahnisch. In medicine, the realm of the clinic and the realm of experimentation often overlap and conflict, and physicians have to develop practices to negotiate their differences. The work of Canadian neurosurgeon Wilder Penfield (1891–1976) is a case in point. Engaging closely with the nearly 5,000 pages of unpublished and hitherto unconsidered reports of electrical cortical stimulation that Penfield compiled between 1929 and 1955, I trace how Penfield’s interest shifted from the production of hospital-based records designed to help him navigate the brains of individual patients to the construction of universal brain maps to aid his search for an ever-elusive “mind.” Reading the developments of Penfield’s operation records over time, I examine the particular ways in which Penfield straddled the individual and the universal while attempting to align his clinical and scientific interests, thereby exposing his techniques to standardize and normalize his brain maps. Souvent en médecine, les domaines de la clinique et de l’expérimentation coïncident et s’opposent simultanément, obligeant les médecins à développer des pratiques pour négocier leurs différences. Le travail du neurochirurgien canadien Wilder Penfield (1891–1976) en est un bon exemple. En analysant soigneusement les quelque 5000 pages de protocoles de stimulations corticales électriques non publiés (et jusqu’ici non considérés) que Penfield a compilés entre 1929 et 1955, j’explique comment son intérêt s’est transformé ; de la production de comptes rendus d’opération et de graphiques l’aidant à naviguer dans les cerveaux des patients individuels, à la construction de cartes cérébrales universelles et à la recherche d’un « esprit » insaisissable. En lisant les développements des comptes rendus d’opération au fils du temps, je montre comment Penfield a conçu les techniques pour standardiser et normaliser ses cartes de cerveau, et j’examine la manière particulière avec laquelle il a réconcilié l’individuel et l’universel tout en essayant de mettre en accord ses intérêts cliniques et scientifiques. Psychoanalysis and neurological medicine have promoted contrasting and seemingly irreconcilable notions of the modern self. Since Freud, psychoanalysts have relied on the spoken word in a therapeutic practice that has revolutionized our understanding of the mind. Neurologists and neurosurgeons, meanwhile, have used material apparatus—the scalpel, the electrode—to probe the workings of the nervous system, and in so doing have radically reshaped our understanding of the brain. Both operate in vastly different institutional and cultural contexts. Given these differences, it is remarkable that both fields found resources for their development in the same tradition of late nineteenth-century German medicine: neuropsychiatry. 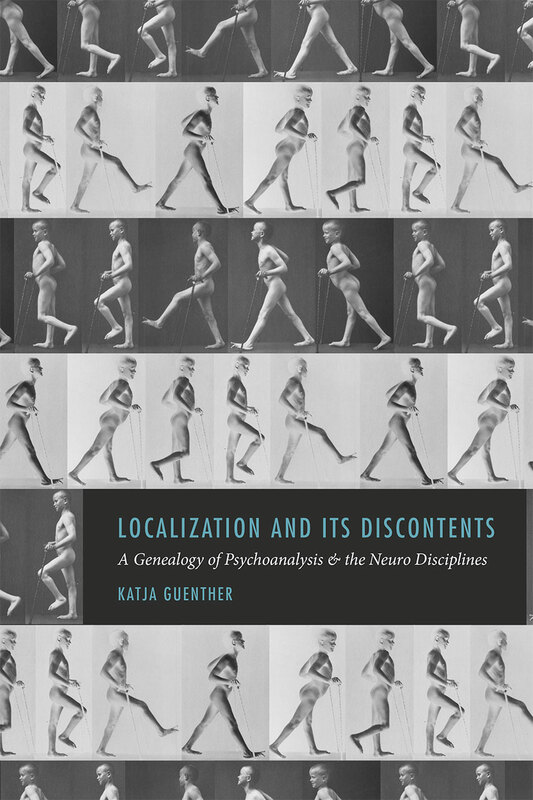 In Localization and Its Discontents, Katja Guenther investigates the significance of this common history, drawing on extensive archival research in seven countries, institutional analysis, and close examination of the practical conditions of scientific and clinical work. Her remarkable accomplishment not only reframes the history of psychoanalysis and the neuro disciplines, but also offers us new ways of thinking about their future. Stephen T. Casper of Clarkson U. (NY) has started a new blog on the history of neurology and neuroscience called Neuro Times. Posts include critiques of recent journal articles on the history of neuroscience, reviews of recent books, announcement of relevant resources, an excursus on the history of Alzheimer’s disease, and and a profile of Nobel Prize-winning neurologist E. D. Adrian. Thanks to Mind Hacks for the tip!